Dominic Robert Stabile, 83, of North Charleston, SC, died Sunday, December 31, 2017. The Liturgy of Christian Burial will be held Saturday, January 6, 2018 in the St. Thomas The Apostle Catholic Church, 6650 Dorchester Road at 10:00 am. Prayers of Final Commendation and Farewell will follow at Holy Cross Cemetery, James Island, SC. The family will receive friends Friday from 6:00 pm to 8:00 pm in J. Henry Stuhr, Inc., Northwoods Chapel, 2180 Greenridge Road, North Charleston, SC. Dominic was born August 11, 1934 in Brooklyn, NY, one of ten children of the late Domenico Stabile and the late Vita Grillo Stabile. He was a graduate of St. John's University in New York. 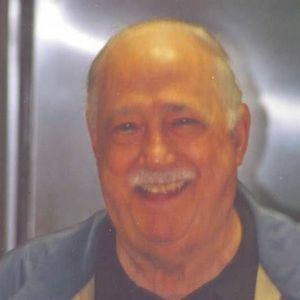 He was the Owner of Sentry Drug and later retired from K-Mart as a Pharmacist. Dominic was a member of St. Thomas The Apostle and Knights of Columbus. He is survived by his wife, Arlene Theresa Mulhall Stabile of North Charleston, SC; two sons, Dominic R. Stabile Jr. (Cindy) of North Charleston, SC and Paul F. Stabile (Patricia) of Augusta, GA; three daughters: Debbie Beabout of Blue Hill, ME, Vivian Blakeslee of Shelton, CT and Christine Krieger (Ken) of Glens Fall, NY; 17 grandchildren; and 18 great-grandchildren. He was preceded in death by his daughter, Virginia Stone and son, Andrew Stabile. I love pop. He & the family took me in at age 10 & I was practically raised by the Stabile family. I will love & miss him always. Dominic, so sorry to hear your fathers passing. You are in my thoughts and prayers. So sorry to hear about Mr. Stabile! You all will be in our thoughts and prayers! Life Stories provides friends and families a forum to post their favorite stories and memories of Dominic Robert Stabile ensuring the precious experiences are never forgotten. Share joyful times, post a photo that captures the moments you cherish, and allow others to reply, relive and remember.